Confidential mode was first introduced when Google’s big Gmail redesign, but the feature was nowhere to be found in the Android app version of Gmail. But not anymore. With the new mode enabled, users can now set an expiration date for messages. In case they change their mind about wanting the recipient to see the message, access can be revoked. Confidential messages will be strictly about conveying the message to the person you choose to send it to. Which this in mind, confidential emails won’t have options for forwarding, copying, printing or downloading. For advanced protection, the sender of the message can also require the recipient to enter a passcode. Recipients who are using a Gmail account will get the passcode via SMS, while those who are on a third-party email service can get it either via SMS or email. For the time being, SMS-based passcodes are only available for users in North America, Europe, India, Japan and South America. When setting an expiration date for your message, you can also opt for a “No SMS passcode” option which will allow recipients using the Gmail app to open the email directly. But those who use another email service will still have to use a passcode to access the info. Even with all this, Gmail still allows users to take screenshots of confidential emails. So the solution is not perfect just yet. 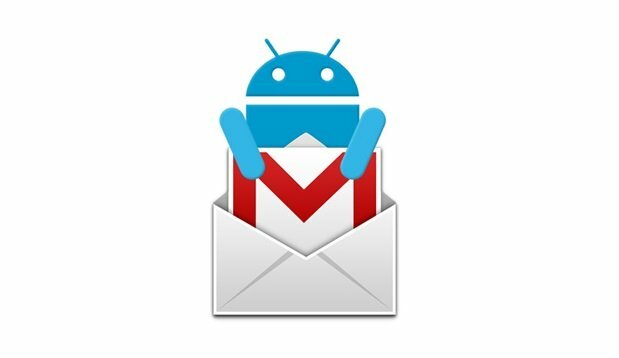 Open up the Gmail app on your Android device. Tap on the floating Pencil dot located in the bottom right corner to start composing a new message. Tap on the three-dot-menu in the top right corner and then tap on Confidential mode. Tap the hamburger menu in the top right corner. Tap the remove access option at the bottom of the email. Just keep one thing in mind before you try this on your smartphone. This is a server-side update, so you don’t need to go looking for an update in the Google Play Store. If you’re currently not seeing the new option in your Gmail, it means you might have to wait a few days. It’s nice to see Gmail for mobile gaining more and more new and useful functionalities. A few weeks earlier, Dropbox announced a new add-on for Gmail, the first product of a partnership between itself and Google. With the new add-on installed, users can add a file to an email message by directly linking to a folder or a file stored in Dropbox. Recipients will be then able to access that folder/file without the need to install any additional software. With Gmail constantly receiving updates, we’re excited to see what the future might bring.